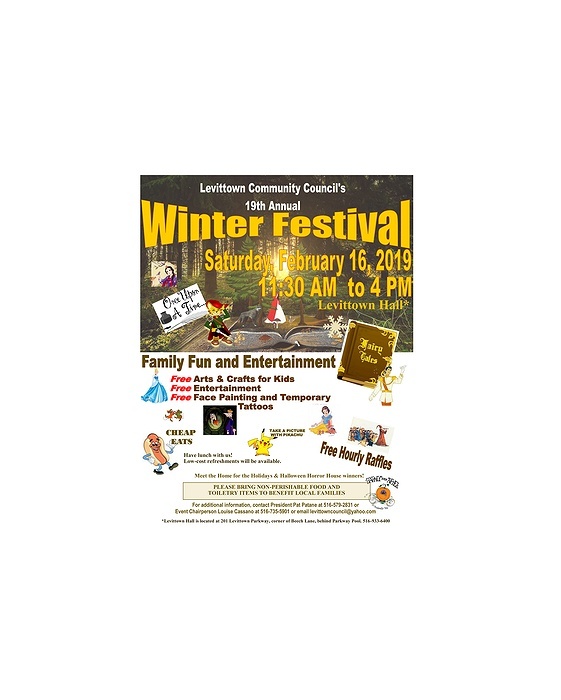 Subject: LongIsland.com - Your Name sent you Event details of "WinterFest"
Levittown Community Council's Annual WinterFest is a day of free activities and fun for the whole famly. The event includes entertainmnet, free raffles and free crafts and cheap eats. Free raffles for adults. This year's theme is "Fairy Tales".